Disruptive Innovation is the theme of a new conference aimed at businesses and innovators which will demonstrate how availing of Government funding to collaborate with researchers. Organisers recognised the need in the South East for an event dedicated to facilitating collaboration opportunities between entrepreneurs, start-ups, multinationals, academic researchers and state agencies. 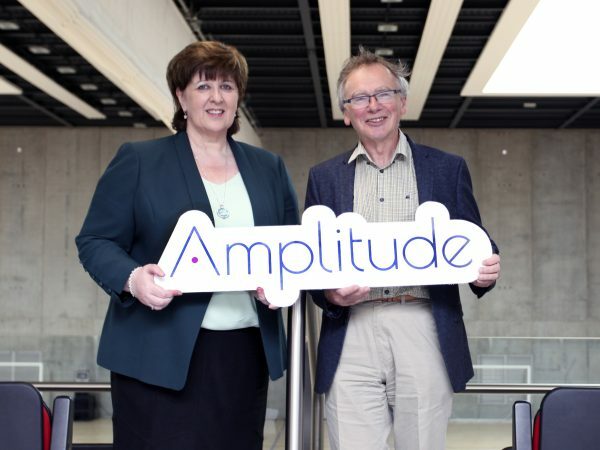 Amplitude, which runs in Waterford’s WIT Arena on 3 October 2018 is led by research centres in Waterford Institute of Technology (WIT) and Institute of Technology Carlow (IT Carlow). Funding opportunities vary from Innovation Vouchers worth €5,000 up to R&D and Commercialisation Funds worth six figures to a company. The driving force behind the event are WIT research centres TSSG, SEAM, PMBRC and RIKON along with Design Plus and engCORE from IT Carlow. Prof Willie Donnelly, President of WIT and one of the founders of WIT’s TSSG research centre, explains that between both institutes almost every industry can gain from collaboration to grow, develop and improve their product, processes or services – no matter the size. “Companies will discover how to design and develop new or existing products or services. Academic experts and industry partners from both Institutes will give real life examples of successful collaborations,” he says. Dr Patricia Mulcahy, President of IT Carlow said that often times it is hard for companies and innovators to navigate the vast array of supports, funding and information when they needed. “Our goal is to help businesses and innovators see or hear something or connect with someone that could be a game changer for their organisation”.